In today's world, the security of your confidential data is of the utmost importance. Imagine losing your personal files or highly confidential information from work and knowing that anyone can access the data because it was saved on a standard unencrypted storage device. 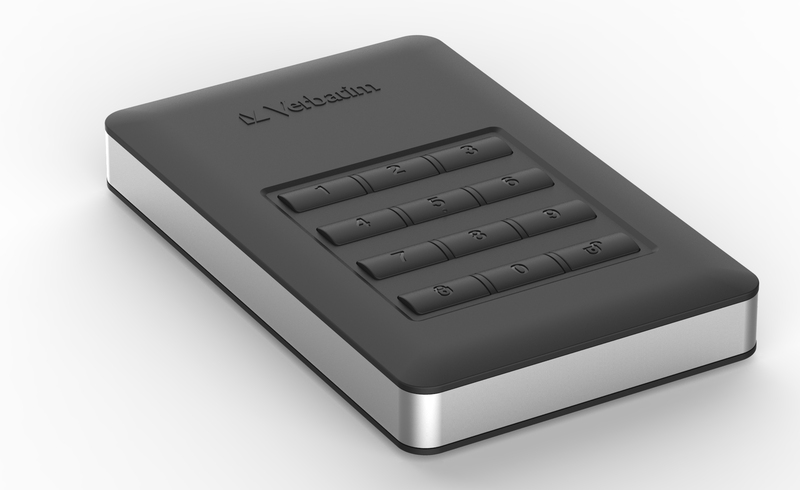 To prevent this from happening, Verbatim has launched two military-grade hardware encrypted storage devices – the Store‘n’Go Secure Portable HDD (1TB) and the Store‘n’Go Secure Portable SSD (256GB). Using AES 256-bit hardware encryption, the Verbatim drives mandatorily encrypt all the files loaded onto the drives in real time. With a built-in keypad for PIN code input, the drives do not store passcodes in the system's volatile memory making them far more secure than drives using software encryption.